If you are currently working with another reseller you may not be eligible to receive any promotional items with your purchase. Please contact us before placing your order. BarraGuard.com.au reserves the right to deny free promotional items on any purchase. Growth in cloud computing capabilities and services has driven more data into places where traditional IT security measures cannot reach; specifically, data centers not owned by your corporate IT group. The Barracuda CloudGen Firewall F-Series provides centralized management and highly secure, encrypted traffic to, from, and within Microsoft Azure deployments. Moving your IT Infrastructure to the Cloud? Utilizing Microsoft Office 365? Running on Microsoft Azure? Barracuda Networks was the first Microsoft Azure Certified Security Solution Provider. The Microsoft Azure Certification assures that the Barracuda Solutions have been tested for readiness and compatibility with Microsoft Azure public cloud, Microsoft Cloud Platform hosted by service providers through the Cloud OS Network, and on-premises private cloud Windows Server Hyper-V deployments. Microsoft works closely with Barracuda engineering, solutions architects and sales teams to create a great customer experience and make it easy for customers to leverage the Barracuda CloudGen Firewall, Barracuda Spam Firewall and Barracuda Web Application Firewall to move their applications into the Azure cloud securely. The Barracuda Spam Firewall and Barracuda Message Archiver offer best-of-breed email management, archiving, and security for organizations utilizing Microsoft Office 365. And there is more to come - stay tuned and learn about the latest innovations from Barracuda Networks and Microsoft Azure. Moving Your Physical Data Center to the Cloud? Get Secure Connectivity with Visibility and Control with the industry's most advanced next-generation firewall solution for Microsoft Azure. The Barracuda CloudGen Firewall ensures highly secure, encrypted traffic from, to, and within Microsoft Azure, providing secure remote and site-to-site access, and centralized management. The growth in cloud computing capabilities and services has driven more data into places where traditional IT security measures cannot reach - into data centers not owned by your corporate IT group. The Barracuda CloudGen Firewall provides centralized management and highly secure, encrypted traffic to, from, and within Microsoft Azure deployments. Securing applications and data in Microsoft Azure is far easier with tools that are dedicated to the task. Deploying the Barracuda CloudGen Firewall in the cloud is very similar to running local network firewalls, and provides the advantages of common policy enforcement and distributed security management in a hybrid-IT environment. It provides next-generation firewalling and secure remote access to Microsoft Azure. It enables organizations to deploy sophisticated multi-zone network architecture in Microsoft Azure, just like their on-premises networks. By using the proprietary high-performance VPN protocol extension TINA, the Barracuda CloudGen Firewall deployment enables secure high-speed site-to-site and client-to-site connectivity between on-premises networks and mobile-user devices, as well as connectivity between VNETs in Microsoft Azure. Best of all, it features the industry's best centralized management, ensuring highly scalable and fault tolerant network infrastructure required by today's users, without the management overhead. 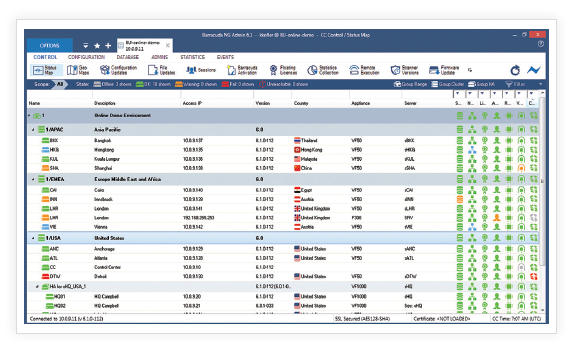 The Barracuda NextGen Control Center adds a powerful and intuitive centralized management portal that makes it extremely simple to deploy, configure, update, and manage multiple units from a single location, while also providing comprehensive, real-time network visibility and reporting. For an optimum Azure deployment, it is crucial to initiate the deployment in a highly secure and reliable way. Deploying a Barracuda CloudGen Firewall F-Series in Microsoft Azure provides comprehensive, secure connectivity capabilities, starting with high-performance TINA VPN tunnels for site-to-site and client-to-site connections. Deployment includes robust WAN optimization features to maintain the highest quality of service possible. The Barracuda CloudGen Firewall F-Series is designed and built from the ground up to provide comprehensive, next-generation firewall capabilities. Based on application visibility, user-identity awareness, intrusion prevention, and centralized management, the F-Series is the ideal solution for today's dynamic enterprises that are adding Microsoft Azure into their company network. The Barracuda CloudGen Firewall F-Series benefits from the same industry-leading central management as onpremises deployments. Easily manage the secure VPN connections to, from, and within Microsoft Azure and the Barracuda CloudGen Firewall F deployment itself. The Barracuda CloudGen Firewall Azure can be deployed as a virtual machine in the Microsoft Azure cloud. You can use up-to-date Application Control 2.0, user awareness, integrated malware protection, and VPN services to securely handle and manage all traffic in your virtual network. The growth in cloud computing capabilities and services has driven more data into places where traditional IT security measures cannot reach - into data centers not owned by your corporate IT group. The Barracuda CloudGen Firewall ensures highly secure, encrypted traffic within Microsoft Azure, provides secure remote and site-tosite access, and centralized management. 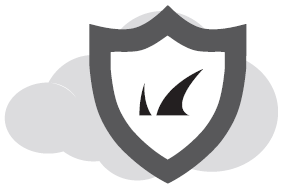 The Barracuda CloudGen Firewall fills the functional gaps between cloud infrastructure security and a defense-in-depth strategy by providing protection where the application and data reside, rather than solely where the connection terminates. Because of the isolation between VMs, tenants, and virtual networks, the Barracuda CloudGen Firewall operates just as if it were a physical device bridging connections between application servers in a network DMZ and your ISP's router. Since no traffic is allowed from the Microsoft Azure Fabric, host OS, or hypervisor to a tenant's virtual network or VMs, the CloudGen Firewall can intercept all Layer 2 through 7 traffic and apply policy-based controls, authentication, filtering, and other capabilities. And as with its physical counterpart, the same traffic management and bandwidth optimizations can be used to make the environment more efficient, thereby using fewer billable cloud resources. Beyond its powerful network firewall, high availability, and VPN technologies, the Barracuda CloudGen Firewall integrates a comprehensive set of next-generation firewall technologies, including Application Control, IPS, anti-malware, network access control enforcement, and comprehensive user awareness. The Barracuda CloudGen Firewall is fully compatible with Microsoft Azure for establishing site-to-site and/or client-to-site connections to its cloud services, and creating a virtual DMZ in Azure to implement an additional high-security layer. The Barracuda CloudGen Firewall merges the worlds of on-premises data center network protection with cloud IT security needs, helping you close the gaps between native Microsoft Azure capabilities and traditional hardware-based application firewalls. Deploying the Barracuda CloudGen Firewall in the cloud is very similar to running local network firewalls, and provides the advantages of common policy enforcement and distributed security management in a hybrid-IT environment. 2 Requires Malware Protection subscription. 3 Premium Support ensures that an organization's network is running at its peak performance by providing the highest level of 24x7 technical support for missioncritical environments. For more information please visit https://www.barracuda.com/support/premium.